I have visited Berlin a few times & I lived in Germany for 14+ years so Germany holds a very special place in my heart, the last time I previously visited Berlin almost 6 years ago and have been eager to go back for a while now. I wasn’t planning on booking a European trip but after browsing trips in the UK & realising I could go abroad for less I thought what the heck lets go to Berlin. I got such a great deal & went from Monday – Friday flying from Liverpool to Berlin Schoenefeld (which is without doubt THE worst airport I have ever been to). We stayed at a relatively new hotel called Titanic Chaussee – they have a pool and spa facilities as well as a lovely restaurant, bar and lounge area. I would stay there again in a heartbeat. We found it very well situated for public transport and also it is walking distance to a lot of the major tourist attractions like Alexanderplatz, Checkpoint Charlie & Brandenburg Gate. We had previously visited most of the major sites so we spent most of the trip just taking our time and exploring, walking around the side streets and popping in and out of cafes. It was beyond freezing, I know it can be cold there as we last went in March and that was bitterly cold but I thought going at the end of April we would be a little more lucky with the weather but it snowed and the temperature was -2, I just used this as an excuse to drink lots of warm drinks in cute coffee shops. 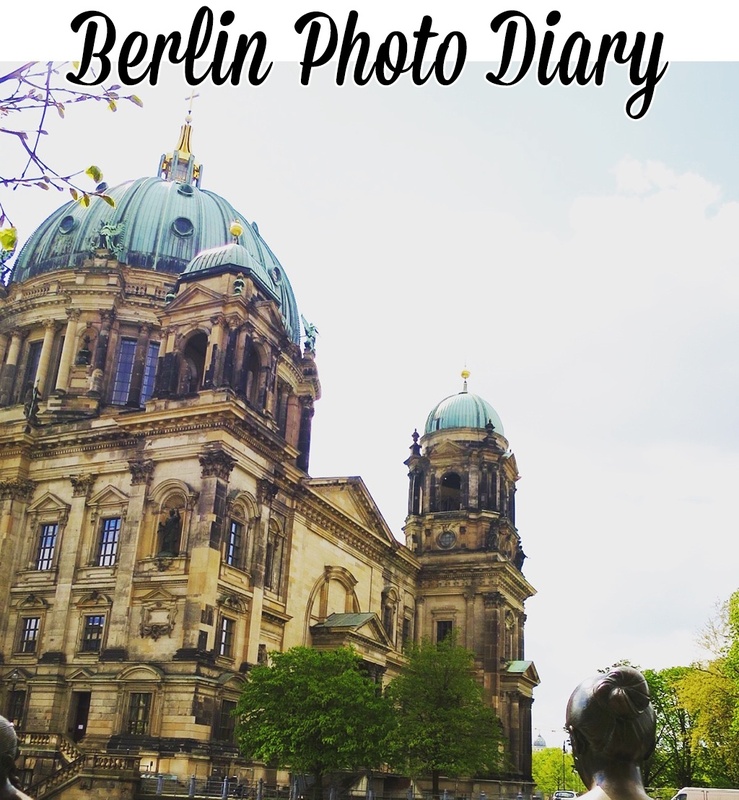 Alot of the major attractions are quite close to each other so we spent the first day walking to Alexanderplatz, Museum Island, Brandenburg Gate and the Reichstag. We have been inside the Reichstag already so didn’t need to revisit but this is one spectacular building and always worth seeing. I remember when I lived in Germany I visited in 1995 and the glass dome was not finished, it looked very different. There are quite a few streetside memorials and galleries throughout Berlin dedicated to the thousands of people who lost their lives during Nazi Germany and quite honestly the whole city has such a rich history so you will never run out of things to do. The architecture in Berlin is imposing but beautiful and so many of the buildings still have bullet holes and very visual reminders of a violent past.